The Village is a kids park with Attractions, Rides, Entertainment; including Light Shows, Caricatures, Main Stage Performances, Balloon-twisting, Light Parade, Face-Painting, Live Music, Interactive Kiosks, a free letter to Santa, a free craft and of course the famous Santa’s Village holiday cheer and clean mountain air! Skyforest is located in San Bernardino County on California State Route 18, 1 mile southeast of Lake Arrowhead. 2) Arrow , dog head with a santa hat. 4) Candy cane & Mushroom. 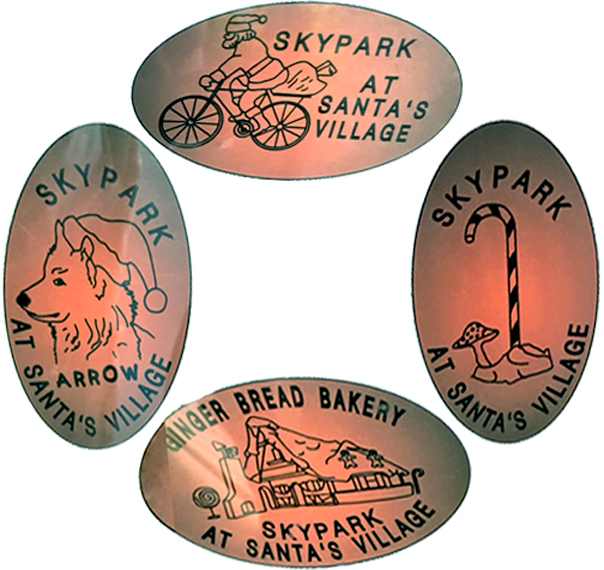 thegillion added Skypark at Santa s Village to system.